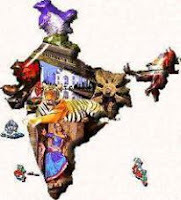 India GK Question Sample Paper 2: India General Knowledge (GK) Sample Question Paper No. 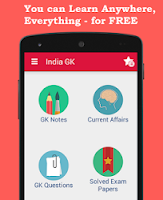 2 with Collection of India GK Questions under GK Quiz in PDF @ India GK Sample Papers. D. A voluntary agreement among recognized political parties. 2. Who is the chairman of the Lok Sabha ? 5. Which one of the following sets of Bills is Presented to the Parliament along with the Budget ? the Rajya Sabha been provided ? 10. Who among the following is/are not appointed by the President of India ? Q.11. Which of the following Committees are Committees of Parliament? 15.What does Article 17 of the Constitution Say? 16. Who is the Supreme Commander of the Armed Forces in India? 17. Who is known as the sculptor of the constitution of India’? 18. What is known as the “Little India”? 20. What was the 'privy purse' in the context of the history of Modern India?